Yesterday I posted a word about the decision on the part of the Troy City Council to designate Troy, Michigan as a Welcoming City. The city of Troy is the most diverse city in Michigan. We are also the safest city in Michigan (I was reminded that it would be good to make that connection). 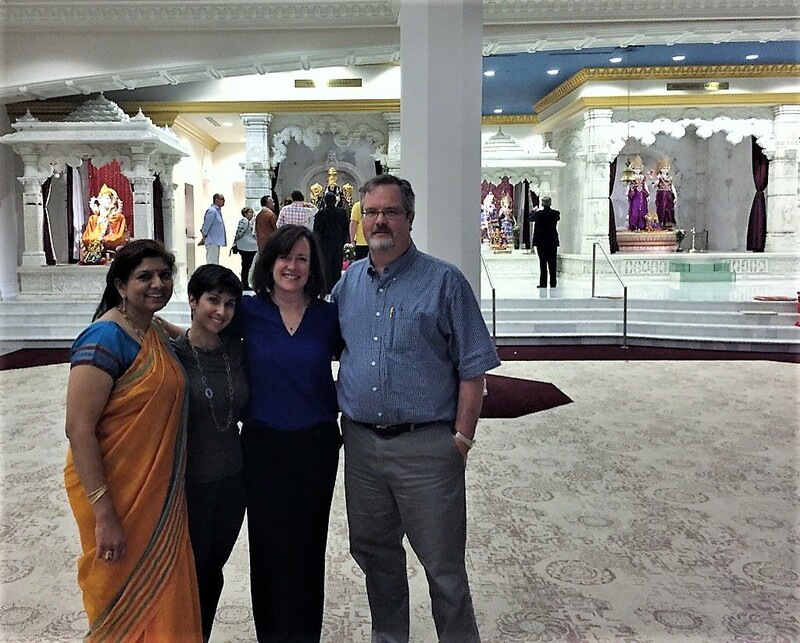 Last night I attended an open house at the Bharatiya Temple, the Hindu temple located in Troy. There are about 1000 families connected to this temple, and it was a blessing to participate in this open house. A few weeks back, Brett and I attended a neighborhood friendship dinner at the Muslim Unity Center in nearby Bloomfield Hills. Prior to that, I attended, as is my custom, the National Day of Prayer observance sponsored by the Troy-area Interfaith Group. This event was hosted by the local Jewish synagogue. That's just May. Not too long ago I had the opportunity it visit through TIG a local Sikh Gurdwara. In less than two weeks, we will, at Central Woodward, be co-hosting an Iftar Dinner with the Turkish American Society. This dinner is open to the community, but is designed to break the Ramadan fast for that day. I wanted to share this because it has become common-place for me, but for much of my life it wasn't. I grew up in a small city in Southern Oregon. You were either Protestant or Catholic or maybe Mormon. I believe there was one Jewish family in town, maybe more, but I didn't go to school with any of them. That reality is common to many, perhaps due to geography, or perhaps due to a choice not to engage those who are different. Unfortunately, such isolation can lead to stereotypes, and stereotypes can lead to discrimination and worse. I am a devout Christian pastor. I believe in Jesus. I believe strongly in the commission Jesus gave in Acts 1:8, that we should, as Christians, be witnesses for Jesus to the ends of the earth. I have come to believe that to be a witness to Jesus includes cultivating interfaith friendships. I do so not in spite of, but because of my faith. I experience these friendships with Muslims, Jews, Hindus, Sikh's, Buddhists, and more, as a blessing. I needn't share their vision of God to embrace them as friends and fellow travelers on the journey of faith. I invite you,my reader, to take advantage of opportunities like the Open House at the Hindu Temple or the Iftar Dinner offered by a Muslim community. Be blessed by the encounter. Let us not build walls. Let us, as Pope Francis declared, build bridges! Each person's relationship to the divine is unique. My desire is that we each work on improving that relationship. I am Christian, and I have my own beliefs about God and my own relationship with God. You are welcome to share in that relationship, but ultimately you need to grow into your own relationship. Your view of divinity may look nothing like mine, and that is as it should be. I would feel honored if my relationship with God served as a model and guide for you. But I am not vain enough to think that my relation is better, or is in any way determinative of what your relationship ought to be or ought to look like. God does not necessarily want more Christians or Jews or Muslims, or Hindus or Sikhs; what Dod desires is better Christians, Jews, Muslims, Hindus and Sikhs. I just pray that you reconcile with God as God appears to you, that you draw closer to God, and through that closeness come to love the person next to you, a person also loved by God, in God's own unique way.